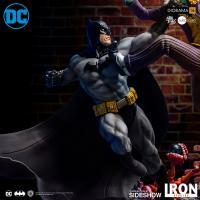 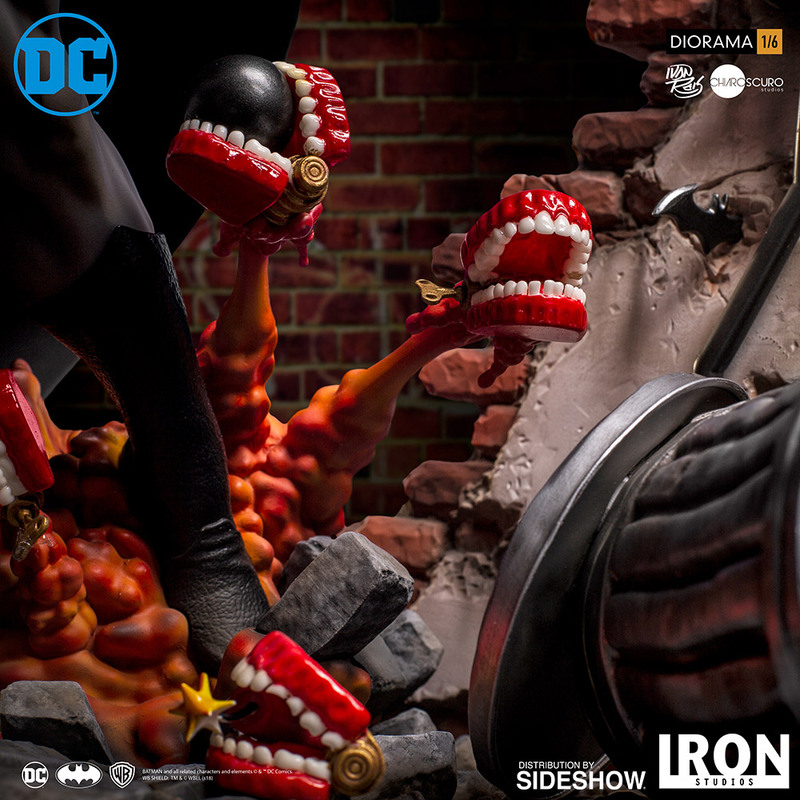 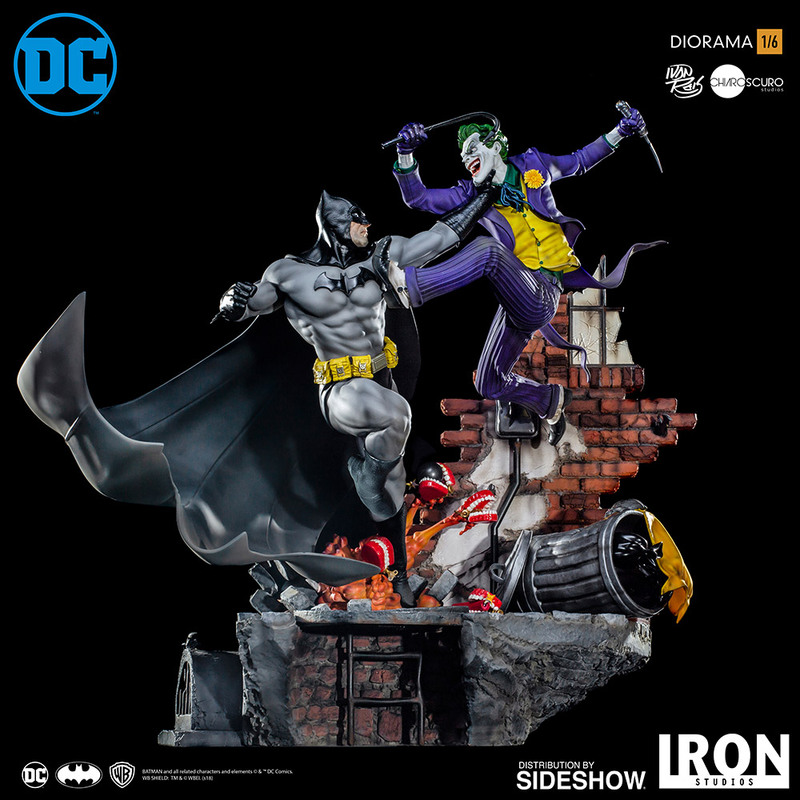 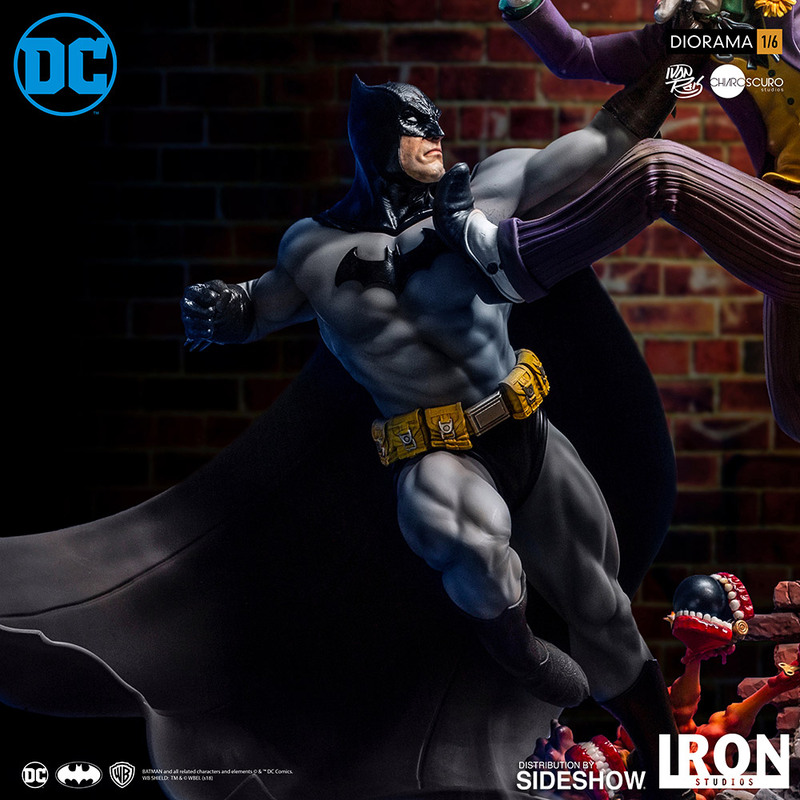 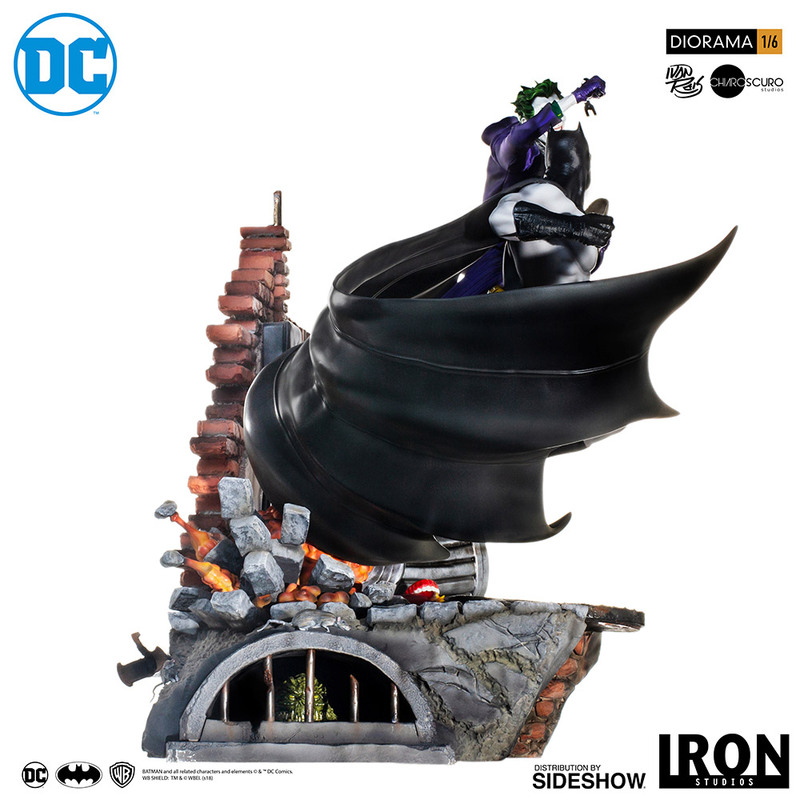 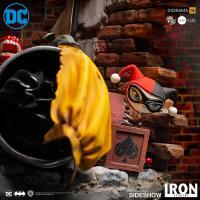 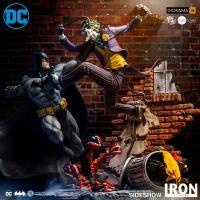 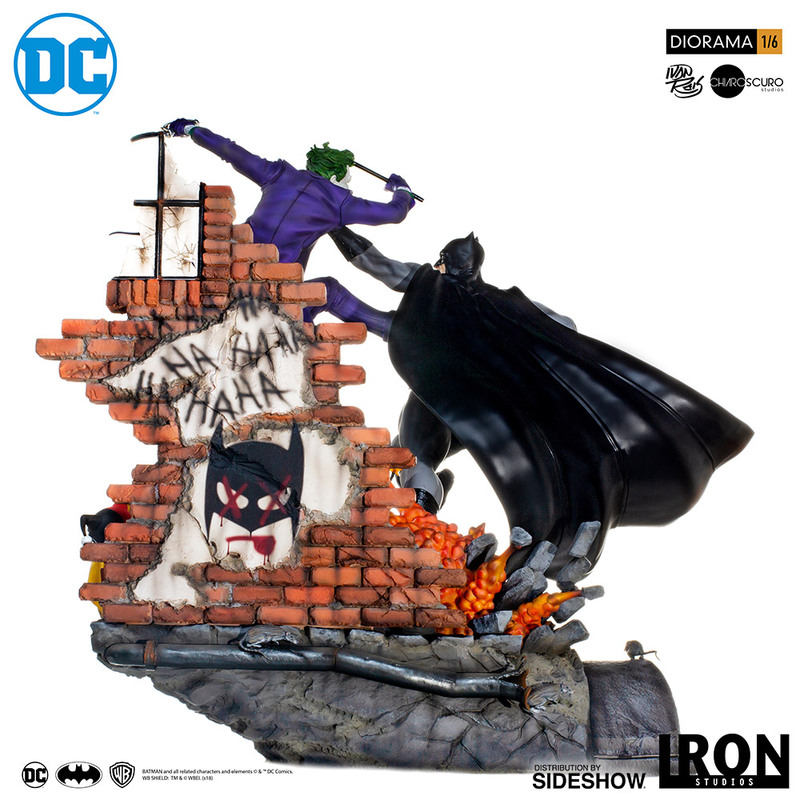 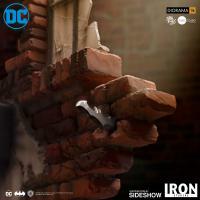 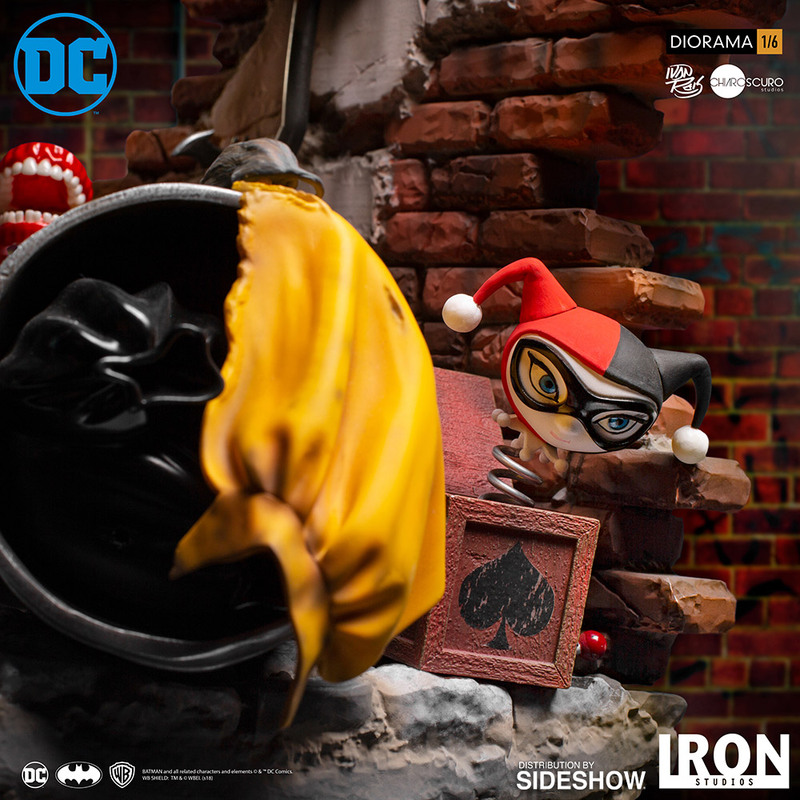 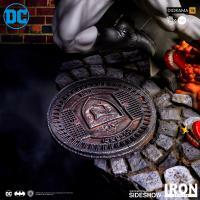 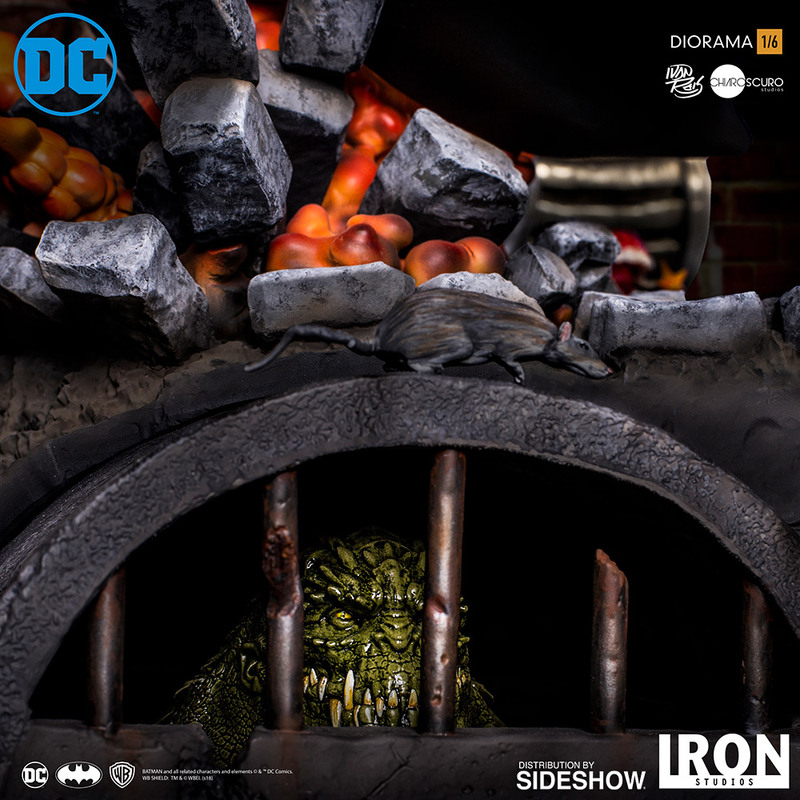 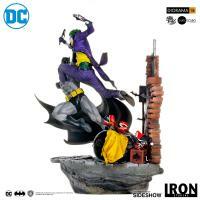 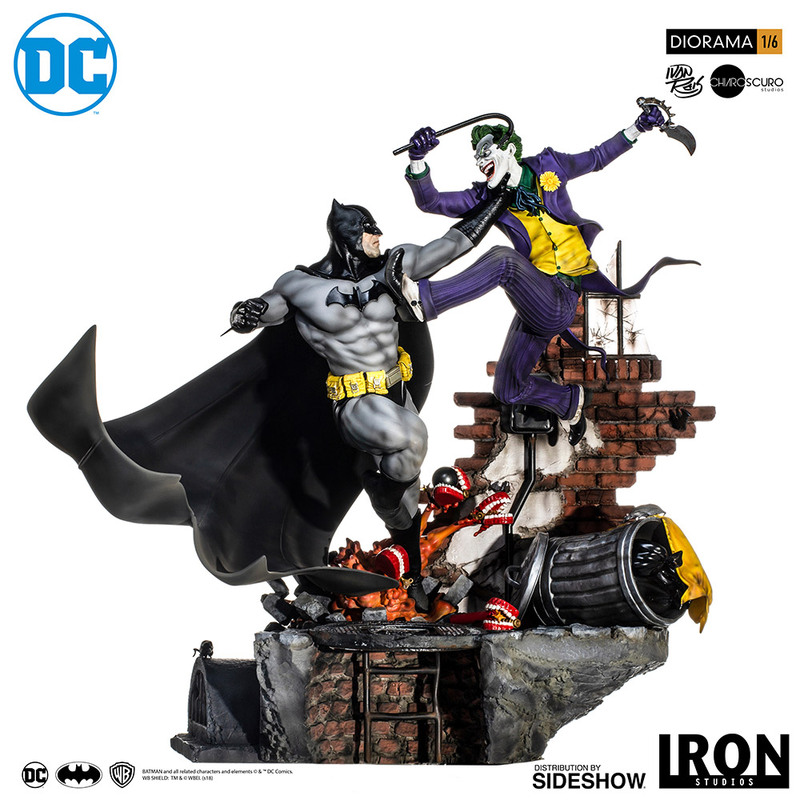 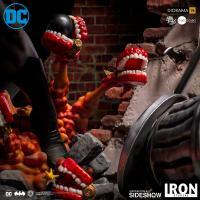 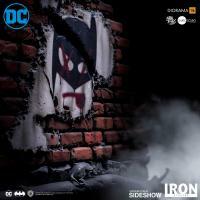 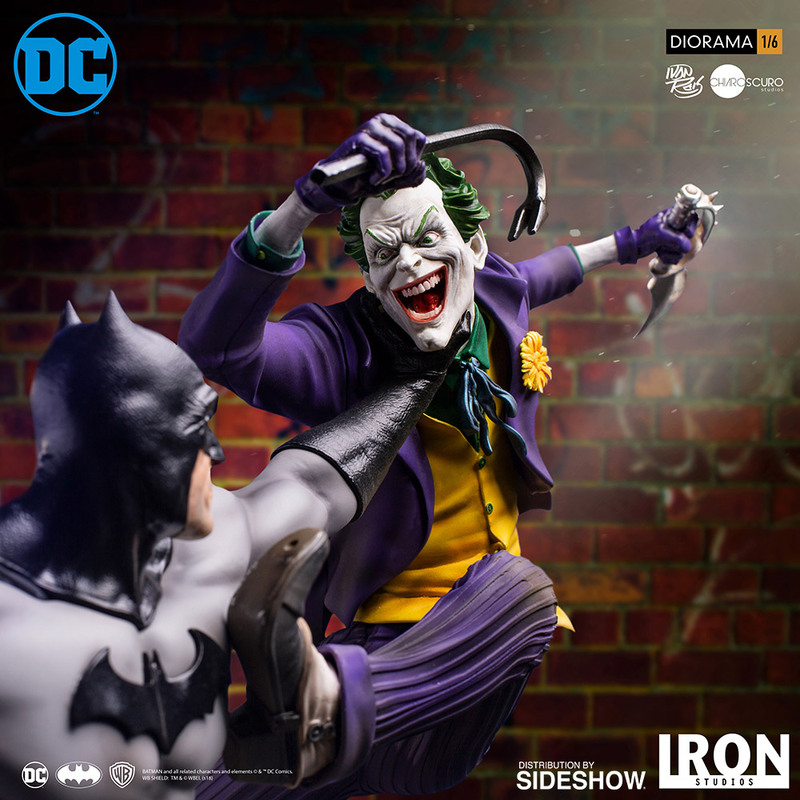 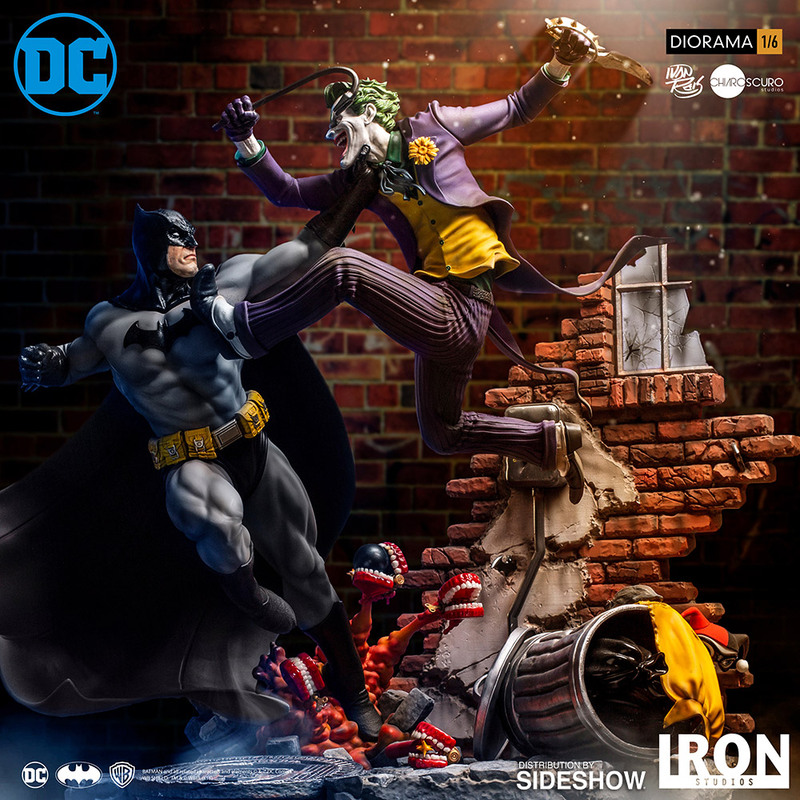 Sideshow and Iron Studios present the Batman vs The Joker Sixth Scale Diorama based on the concept design by Ivan Reis. 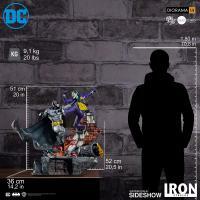 Unlike many heroes, Batman has no superhuman power. 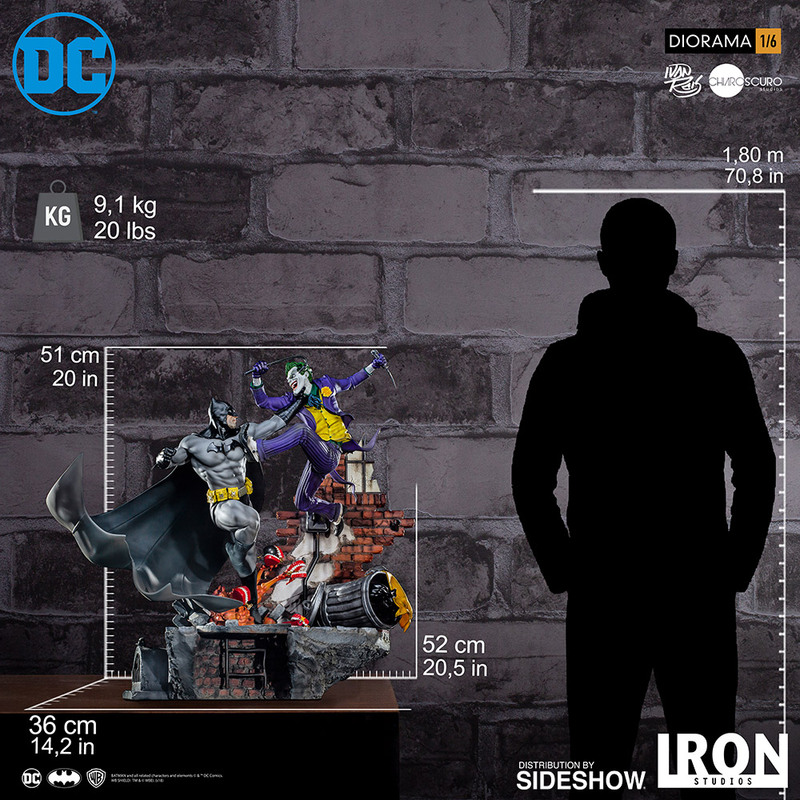 Using only his intellect, investigative skills, and technology, Batman trains his body and mind for the war against crime. 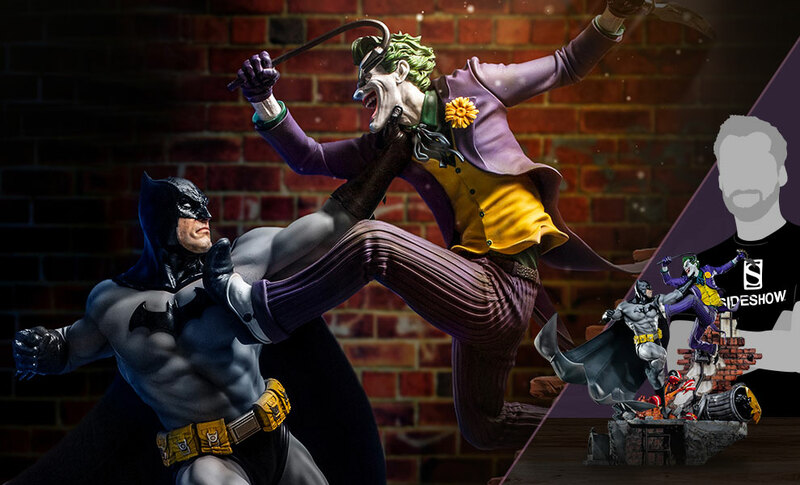 In this hightly-detailed Sixth Scale Battle Diorama, Batman faces off against his archenemy The Joker, one of the greatest comic book villains of all time. 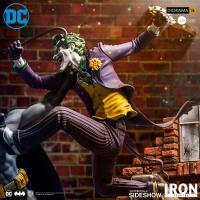 Created by Bill Finger, Bob Kane and Jerry Robinson The Joker is inspired by actor Conrad Veidt in the 1928 film The Man Who Laughs. 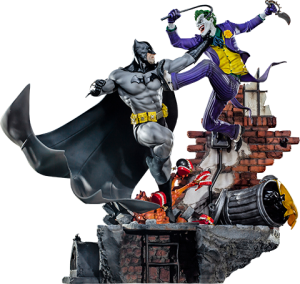 The Batman vs The Joker Sixth Scale Diorama captures the endless fight between Batman and The Joker, in a dynamic and ambitious scene. 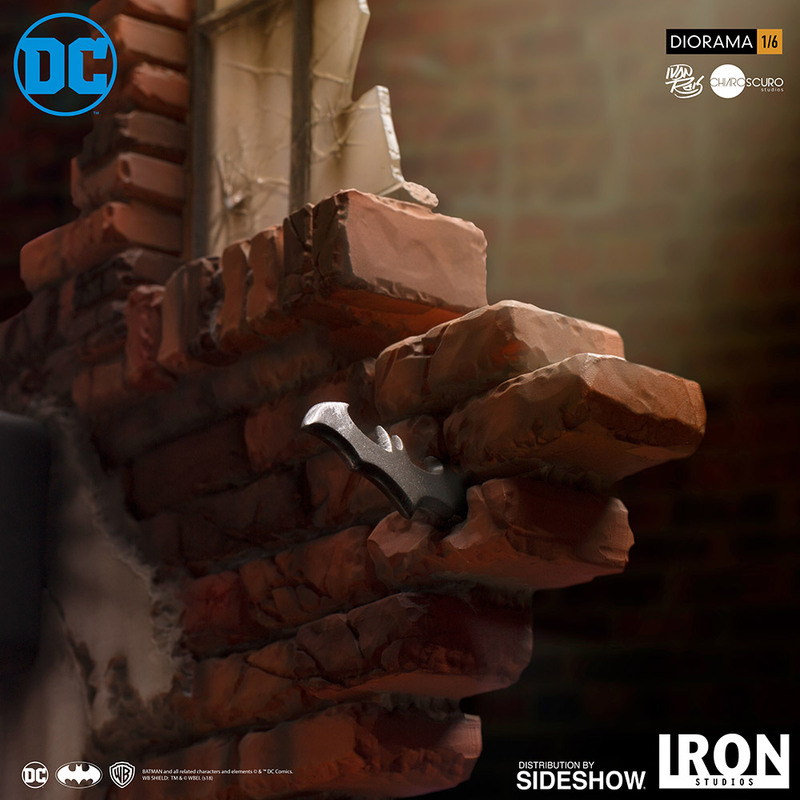 This clash on an alley also hides a very special easter egg that the Bat better be prepared for. 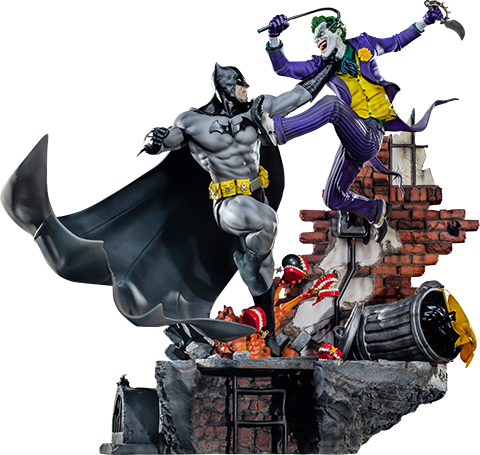 A must-have for fans of Batman and DC Comics! 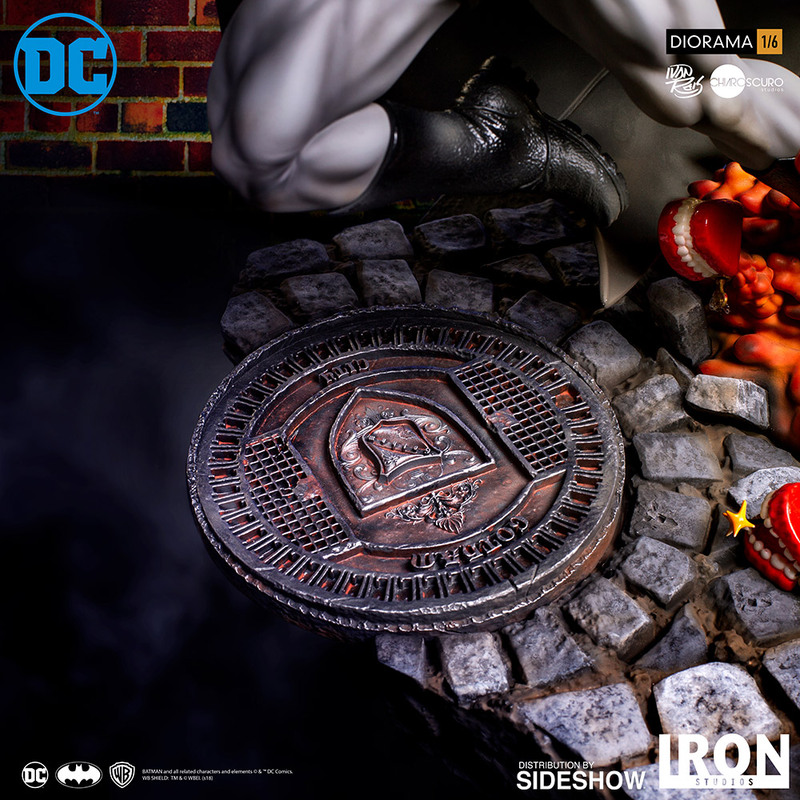 Pay as little as $90.00/mo.